A straight-grained wood with fine even texture. Heavy and very strong. Straight-grain lumber works well. however, swirly or irregular grain may be difficult to machine without tear out. 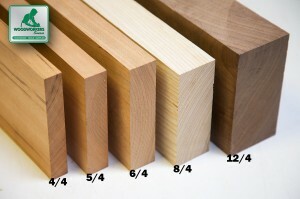 Birch lumber comes in random widths and lengths, with a uniform thickness. For the woodworker who just wants a basic wood with no-nonsense, birch is a great choice. 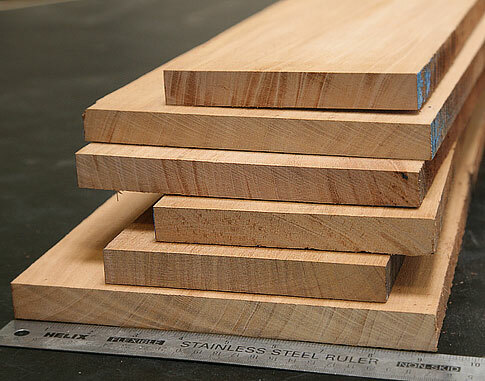 It's commonly found in cabinets, furniture and flooring - yet often overlooked, for better or worse, in favor of maple. But Birch still is rock solid and fine to work with hand and power tools. Cream or light brown tinged with red. The largest of the North American birches. The tree usually reaches about 65 feet in height with a straight, tapering trunk generally about 30" in diameter. 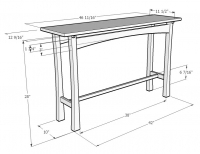 Cabinets, furniture, joinery, flooring, turning, and high grade plywood. high quality wood. Straight, clear grain, no splits. There were two boards 8 feet long and two at 4 feet. All were close to 5 inches across and smooth. No meaningful defects, so I should be able to use almost all of it. Great job picking and packing!